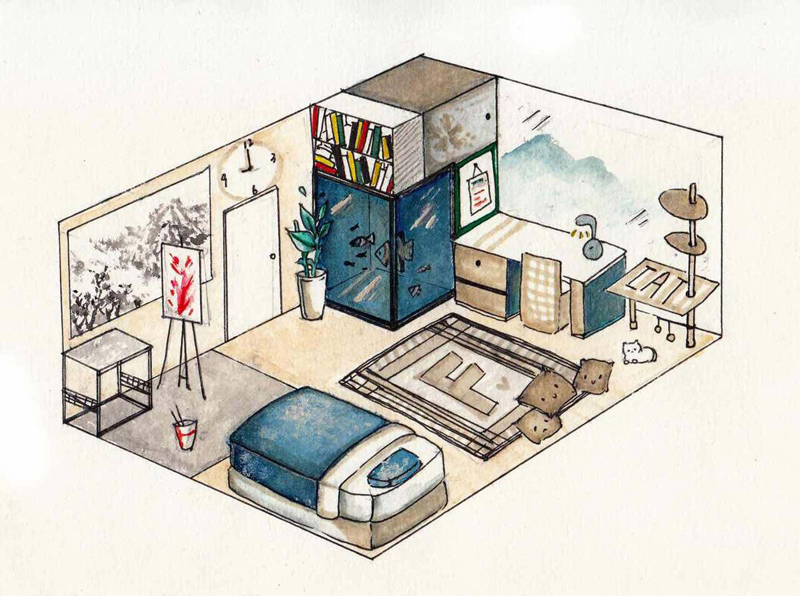 Jiang Yue, an art teacher at the school, said the homework assignment of designing an apartment for living alone was welcomed by the students. More than 300 submitted their drawings. "Interior design requires comprehensive skills, such as space division, layout, psychology and materials. The homework aims to check how well they master the knowledge of perspective space and color collocation taught in class," the teacher said. "They don't major in art and their works are far from perfect," she said. "But the paintings show their personalities and the world they dream of."